Uranus, the new tank hero! Aethereal Defender! Team-fighting tank with super strong regeneration skills. So Uranus! 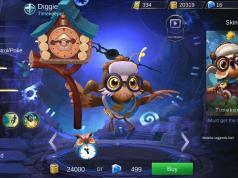 499 Diamonds and 24k Battle Points, don’t forget the Launch Week Discount 30%. 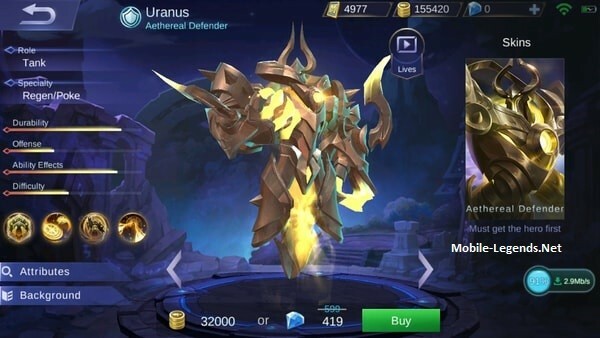 Every TANK players needs Uranus. 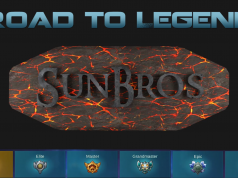 Have fun with this immortal hero! Passive: Radiance, Uranus absorbs the energy generated by attacks made against him to strengthen himself, regenerating 3-10 HP per second for each stack, over 8s. This effect can be stacked up to 20 times. Maximum stacks are increased to stacks at Lv. and stacks at Lv. Skill 1: Iconic Orbit, Uranus releases two energy spheres that orbit around him, dealing 125 (+30% Total Magic Power) magic damage to enemy targets while reducing their Physical Attack and Magic Power by 15%, and their movement speed by 40% for 2s. Each stack of Radiance increases damage dealt by 3%. Each energy sphere can only deal damage to the same target once. Skill 2: Transcendent Ward, Uranus generates an energy shield that absorbs up to 400 (+200% Total Magic Power) damage for 4, and grants him immunity to slow effects while increasing his movement speed by 30%. this shield deals 300 (+150% Total MAgic Power) magic damage to nearby enemies when broken, or at the end of this duration. Ulti: Consecration, Uranus unleashes energy stored within his body to disable the designated enemy hero, dealing 150 (+80% Total Magic Power) magic damage while granting himself the radiance effect. After briefly disablong target, Uranus pulls himself and the target together, dealing additional magic damage. The content will be updated. Eons ago, the ruler of the celestial place used the technological secrets of the ancients to create Uranus, and commanded his creation to guard the city and wait for the emergence of a new ruler. When scholars from the Land of the Dawn found and opened the gates to the Celestial Palace, the battle between the Dawn Zenith and the Dark Abyss quickly spead throughout the realm, disrupting the quietude of the ancient city. The two camps sought to occupy the Celestial Palace as a symbol of victory, their heroes unleashing the full extent of their power, and finally reaching an impasse. The massive energy released througout incessant battles eventually awakaned the ancient city’s defense system, and was converted directly into lighting power which fed and reawakend Uranus, who lay dormant in depths of the Clestial Palace. Leave now, intruders! he roared upon awakening, and then charged to the battlefield, fueled by lightning, aether, and is now ready to fullfill his desiny. His goal — to expel these savage intruders disturbng the tranquility of the Celestial Palace.